The national award-winning interior design team of Clive Daniel Hospitality has been selected to provide extensive interior design services for Sérénité at Camelback Mountain, located in Tannersville, in the heart of the historic Pocono Mountains in northeastern Pennsylvania. Sérénité at Camelback Mountain is being developed by Jefferson-Werner, LLC of Allentown, PA, a full-service real estate development company with over 25 years of experience and scores of successful projects in their portfolio, including Montage Mountain Resort. Their vision is to bring their experience and market driven creativity to areas outside major metropolitan areas. 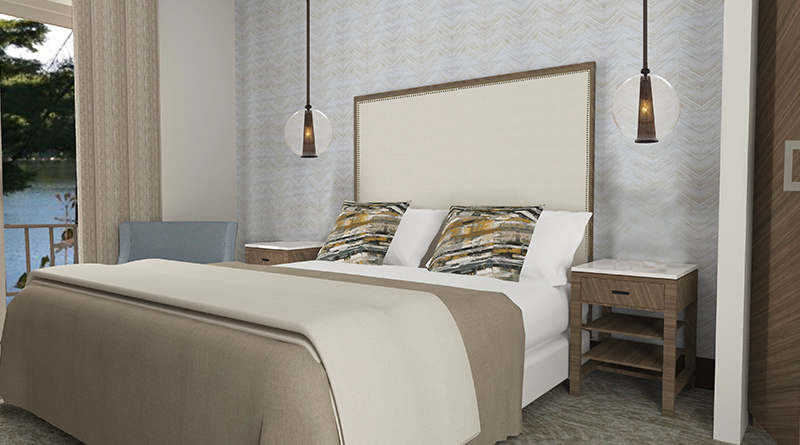 With over 800 hotels in the Poconos area, Sérénité will be one of the first new residential developments in ten years.